A statement released Monday afternoon claimed party leader Jeremy Corbyn will announce a change in policy, fully backing a second referendum on the UK’s membership of the EU for the first time. The Labour leader, who has been a long time opponent of the European Union but has lost a number of MPs in the past week over his Brexit stance is expected to say: “The prime minister is recklessly running down the clock, in an attempt to force MPs to choose between her botched deal and a disastrous no-deal We cannot and will not accept… one way or another, we will do everything in our power to prevent no deal”. It is not clear how, if these demands were actually met, how it could be argued that the United Kingdom had actually left the European Union in any way at all. 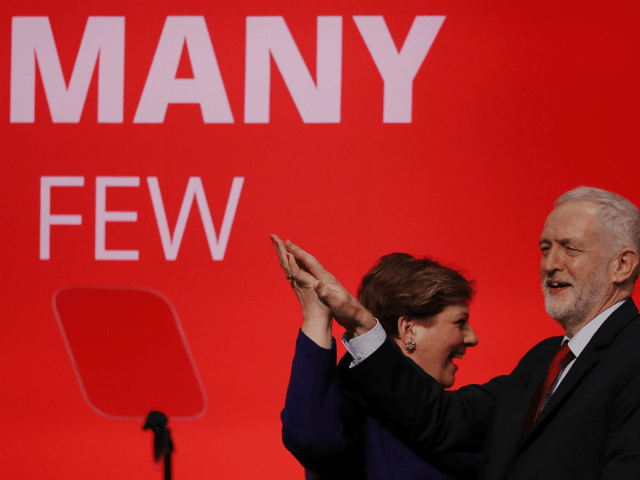 The decision may also spell electoral trouble for Mr Corbyn down the line, as many Labour MPs represent communities that voted in favour of Brexit. The European Union has a questionable relationship with referendums, with several nations having found themselves re-running national votes that didn’t go in Brussels favour, or having the original votes ignored altogether. Brexit leader Nigel Farage has warned of the risk of Britain being forced into a second referendum by the political establishment. In January, he said Brexiteers should be prepared to have to fight the 2016 referendum all over again, remarking: “When I’ve talked in the past about being worried that they may force us into a second referendum… I don’t want it anymore than you do but I am saying to you we have to face reality in the face.